Winter is when we are most likely to catch a cold or the flu. With Susun Weed's help, you can prepare yourself with herbs and home remedies to avoid infection and to build a strong immune system. Ms. Weed prefers safe antibacterial herbs such as echinacea, usnea, or poke root, which not only kill infection, but also help us keep our immune systems strong. These herbs have an extensive history of countering resistant bacteria and strengthening the body's natural defenses. She also recommends medicinal mushrooms, garlic, and ginseng to help you during the winter season. And, she reminds us that our thoughts affect our health too! Echinacea root is the all-American immune system strengthener. It triggers production of white blood cells, interferon, leukocytes, T-cells, and B-lymphocytes, as well as directly inhibiting the growth of most bacteria and viruses. Peter Holmes, author of Energetics of Western Herbs, cites it as being effective against anthrax. Echinacea tincture is my first choice for countering infection. (Capsules and pills of Echinacea, if used for lengthy periods, may be counter-productive.) A dose of the tincture is one drop for every pound of body weight. I take this several times a week as a preventative; several times daily when there is active infection. Poke root tincture (Phytolacca americana) kicks the immune system into gear incredibly fast. I've seen chronic infection of many years' standing resolve after only one dose, and acute infection subside in a matter of hours. Poke's effect seems to be focused on the lymphatic and glandular tissues of the throat and chest, making it the perfect counter to inhaled anthrax, which attacks the lymph nodes around the lungs. Poke is a specific against pneumonia and a protector of the lungs. It contains an antibacterial alkaloid and a special antiviral protein. It magnifies the effects of Echinacea and they work wonderfully well together. Poke root is powerful medicine - in fact, a potential poison - and the dose is very small. One drop of poke tincture may be taken daily for no more than three months as a counter to possible infection. Alkaloids in poke root tincture can accumulate in the kidneys, making extended use risky. Caution: You can feel spacey and out of your body when taking poke, especially at higher doses. The first few times, take it after dinner and stay home so you can judge your reaction. Siberian ginseng (Eleutherococcus) is widely considered the single most effective immune tonic and adaptogen in the herbal realm. Safe and inexpensive, it helps the immune system respond quickly to infection and mitigates the effects of stress. Astragalus root is also an excellent ally for building powerful immunity. Both, or either, may be taken daily for extended periods with no ill effects. I throw several pieces of these roots in every pot of soup I cook. Ginseng root (Panax quinquefolius or Panax ginseng) is another exceptional ally for the immune system, especially when there is physical or emotional stress. In any form (tincture, tea, extract) it nourishes production of interferon, phagocytes, antibodies, and killer T-cells. So long as you need ginseng, there's no overdose; if you take it when you don't need it however, it may produce an unpleasant, jittery, speedy sensation. Garlic has been used to prevent infection for thousands of years; and it still works! No need to upset your stomach (and loved ones) by eating it raw; cooked garlic retains its antibacterial powers, so long as you eat enough of it. During plague times, healers in some areas wore a "bird's beak:" a stiff cone was made of paper or bark, stuffed with garlic and spices (cinnamon, cloves, nutmeg), and tied on over the nose to help prevent contagion. That's a little cumbersome for modern times, but inhaling the aroma of a cup of spicy tea (there are many blends available, or make your own) could help you avoid catching contagious disease. But herbs and medicinal foods alone are not enough. What we think, and what we consume, are also important parts of building strong immunity. Candace Pert, visiting professor of neuroscience at Rutgers University, has proven that every cell of the body participates in the immune system through an integrated network of chemical, electrical, and hormonal signals. The immune system is a network, she says, which resonates with the vibrations that surround it. 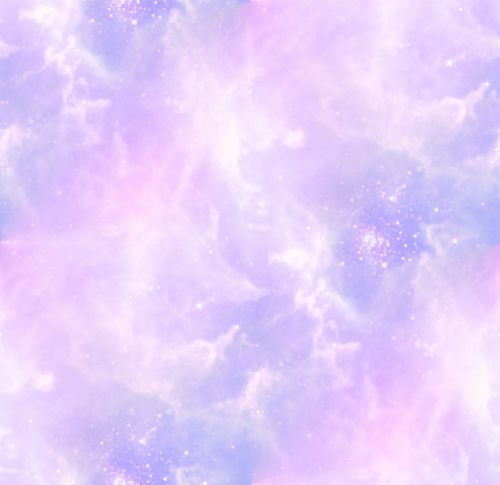 It is as affected by emotions as by bacteria, as impacted by thoughts as by drugs. My favorite foods for nourishing the immune system include beets, carrots, garlic, medicinal mushrooms, seaweeds, and dark leafy greens (including nettle infusion). For rapid results, try miso soup with seaweed and wild mushrooms. Try Immune A Go Go Soup from Susun Weed's book Breast Cancer? Breast Health! Carotenes strengthen and activate all parts of the immune system, especially the thymus (the "master gland of immunity"). A half-cup of dandelion greens, two cups of nettle infusion, a small baked sweet potato, or two large cooked carrots or beets is a "dose;" but ten times that much can be consumed safely. Repeated doses provide a cumulative effect starting about a week after you begin. Selenium is a trace mineral with special abilities for building a healthy immune system. Best sources are organic garlic, medicinal mushrooms, and astragalus. Zinc helps build energetic white blood cells (which eliminate bacterial infections). Best sources are Echinacea, nettles, and seaweed. The B-vitamin complex, especially B6 (pyridoxine), is critical to immune system health. Best sources are potato skins, broccoli, prunes, and lentils. Virtually all drugs depress the immune system. This includes caffeine and nicotine, alcohol, prescribed drugs, "recreational" drugs, and vitamin/mineral supplements. For a healthy immune system, eat nourishing food and forgo the pills. In Summary: Strengthen your immune system with a good diet, adequate sleep, regular physical activity, emotional well-being, and a few of the recommended herbal allies of your choice. Always remember to use herbs and herbal preparations simply and safely. Avoid immune compromising substances such as coffee, tobacco and medications. With a strengthened immune system you will not only enjoy better health, but you will be less likely to be susceptible to infection and possible death from bacterial and/or viral invasions. Faith in your body's ability to protect itself will continue to bolster and reinforce the immune system as your mental well-being improves. 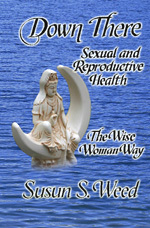 Enjoy the upward spiral of health as you follow the path of the Wise Woman Way.